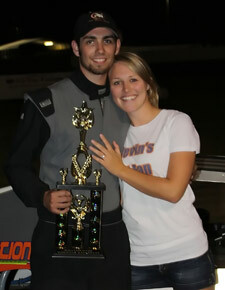 I have been involved in auto racing since the age of 13. Both my father and grandfather drove race cars, as do both of my sons, so racing has always been a family affair. I opened LaHorgue Metal Fabricating in 1986. My primary business has always been motorsports fabrication. The business also does custom fabrication in many fields. LaHorgue Races Cars has been at the forefront of auto racing on the west coast . My cars have always been original designs, not copies of other manufacturers. This has always allowed me to be innovative, keeping my cars ahead of the competition. Devin has become a very good fabricator and is learning chassis set up skills. Devin started driving Outlaw Karts at the age of 7. He drove in both the Box Stock and 125cc divisions. His asphalt experience began in the Pro 4 Modified division and has carried on to the full size Modifieds now. 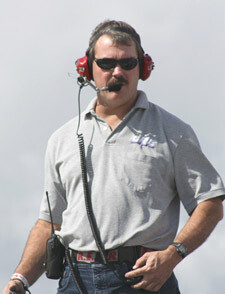 He also has experience in Late Models, and asphalt midget. He is currently the driver of the 51d LRC modified.